Davey has never felt so alone in her life. Her father is dead -- shot in a holdup at his store -- and now her mother is taking 17 year old Davey and her little brother to New Mexico to stay with relatives while she tries to recover. Climbing in the Los Alamos canyon, Davey meets the mysterious Wolf, the only person who seems to understand the rage and fear Davey feels. Slowly, with Wolf's help, Davey realizes that she must get on with her life. A complicated story of deep human drama. 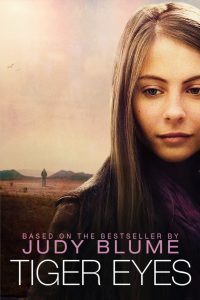 Based on the classic novel,"Tiger Eyes," by Judy Blume.